10am - 5pm - FREE! ~ Our BEST show of the year! FAT Village Art Walk - FREE! Party Vibe! Great craft art vendors, bars, and food trucks! PITBULLSHIRT.COM was created to raise awareness about the plight of the pitbull, spread the message of rescue & adoption, and generate funds for pitbull rescue & advocacy non-profit organizations. All of our designs are positive and fun (and great conversation-starters for those of us who enjoy speaking about why we adore pitbulls)! We add new shirts regularly, so please check back often. You can also find out about pitbull-related events happening in South Florida. Please check out our other company, TOMMYPOPART.COM, for custom-created, hand-painted pop-art style, original portraits of your very own canine or feline best friends on canvas! If you're a friend to pitbulls, please try to advocate for them every chance you get... even if it's by simply wearing a shirt that makes a pitbull-positive statement! "Making a difference, one shirt at a time... "
All materials on these pages are copyrighted by Tommy Pop Art, LLC, including all T-shirt artwork, designs, and images, as well as all T-shirt text and slogans. No part of these pages, either text nor photograph nor image, may be used for any purpose. Reproduction or modification in any form, or by any means electronic, mechanical or otherwise, is strictly prohibited by law without written permission by Tommy Pop Art, LLC. Hello Pittie Fans! This month we are donating to our friends at Feeling Fine Canine and Equine Rescue! Spring season is here, and a perfect time for a total comfy pitbull hoodie! We have two great colors available in charcoal grey and pink. We here at PitbullShirt.com have been promoting "pitbull-positive" designs for 10 years! Thank you for all that supported us and educating (wearing one of designs) for media misinformed about the best, sweetest, and most caring breed of dog in the world! Product news: We have 2 NEW women's designs, PITBULL MOM racerback tank top, and MY BEST FRIEND IS A PITBULL in a Sapphire Blue V-Neck coming mid-November! PLUS: Check out our NEW and extremely popular new "BLACK LABEL" Whiskey inspired Shirt and Ladies Bay Dolls are re-stocked(our first print run SOLD OUT in ONE WEEK.) Also just added for this summer is a men's tank top version. And another just recently added shirt to the line-up is our HAPPINESS design which is now being offered in a women's Slouch Neck! 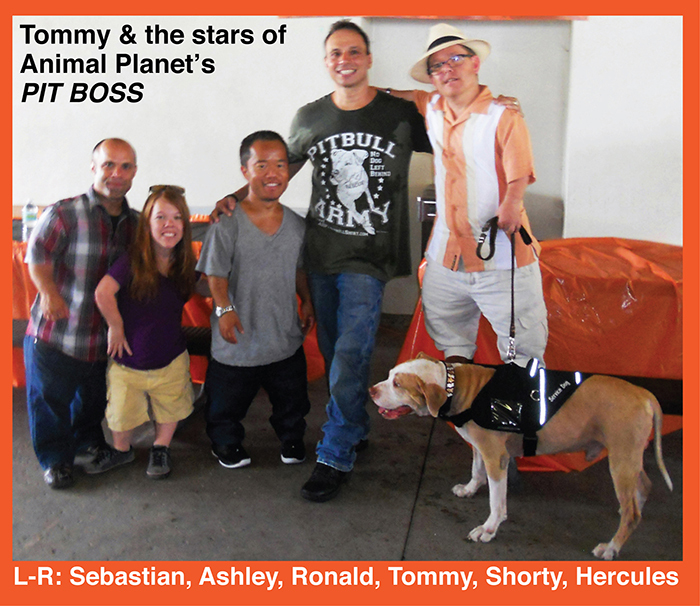 We are also extremely proud to announce that the NEW PEANUT THE PITBULL Children's Book is here! Peanut The Pitbull's SUMMER BEACH VACATION. Peanut's first new book in 3 years! +PLUS: We also have custom made Solid .925 Silver Pitbull Rings and Pendant jewelry! 2 SILVER PITBULL Rings, and three beautiful silver charms. Our PITBULL HEART CHARM is turning out to be THE HOTTEST SELLER so far! We also have new PITBULL ARMY shirts and designs land a New Vintage PITBULL LIFE American Dog "Postive Quotes" design! It is one of our biggest screen printings yet coming in at 20" long (that is the ENTIRE front of the shirt!) We have them in Shirts, Ladies Baby Dolls and Men's Tank Tops. PEANUT THE PITBULL Book NEWS: The NEW Peanut book has arrived! Peanut The Pitbull's SUMMER BEACH VACATION! - Details above. But, did you know that we sell a book a day on Amazon.com? It does not sound like a lot, but it just goes to show that there are plenty of pittie lovers out there! 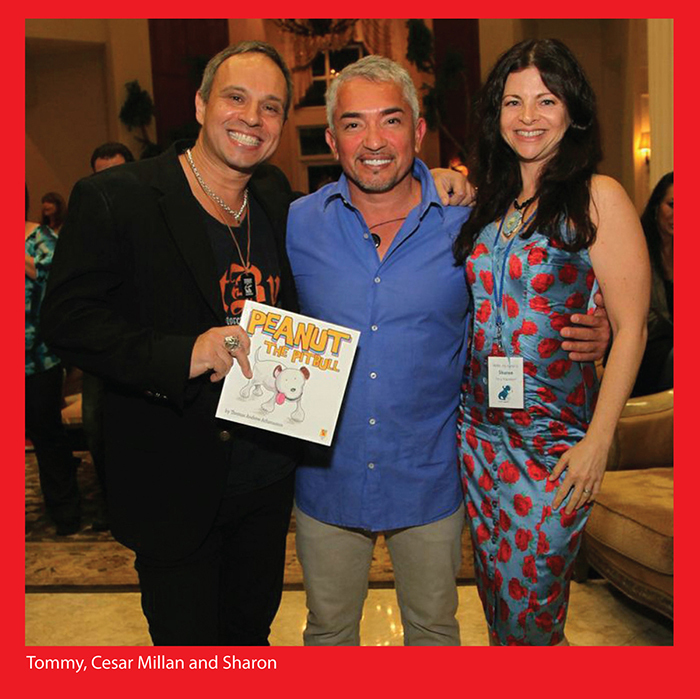 We PROUDLY launched the PEANUT THE PITBULL Children's Book Series (ages 4-12) in November 2013. We have received nothing but GREAT reviews for this colorfully illustrated book that helps teach young ones about the joy of choosing to adopt a pet, also touching upon the responsibilities of dog ownership, as well as the unfair practice of breed specific discrimination. Ultimately, Peanut The Pitbull book shows how rewarding it can be to add a rescued dog to your family. We also have a LIMITED VERSION edition, that includes a personal signed book, a signed book plate, and we are donating a $1 to a designated pitbull rescue of the month!! They are located in the PEANUT'S STORE section. And yes, The Official PEANUT'S PAGE is up'n'running!!! And just released is Peanut's little friend in the book series, Bailey The Mouse. His very own children's book is now avaliable. You can become a Facebook fan of Peanut The Pitbull - Just click on the Peanut Facebook Icon on the left! CUSTOM PITBULL JEWERLY: And last but not least, as mentioned above, we launched our NEW PITBULL jewelry line, THE SILVER PITBULL. These are all hand-carved from a block of wax using the ancient Art Of Wax method. Tommy is creating all of these one-of-a-kind treasures! Look at our side bar on the right to see these bold creations! Other FAN favorites: Our BOLD AND PITBULL POSITIVE Car/Truck Back Window Decal, Pitbull Army ~ No Dog Left Behind. ALSO!!! We now carry All Natural Doggie Treats! And LAST but not LEAST!!! We have Spectacular Satin-Lined 1.5-inch Dog Collars! 12 beautiful designs to choose from! * **Don't forget we have LONG SLEEVE Shirts, Baby Dolls, and Hoodies for those breezy SPRING nights! Need a fun day out with your pittie? Check out our awesome events planner! See the sidebar on left for details and directions. 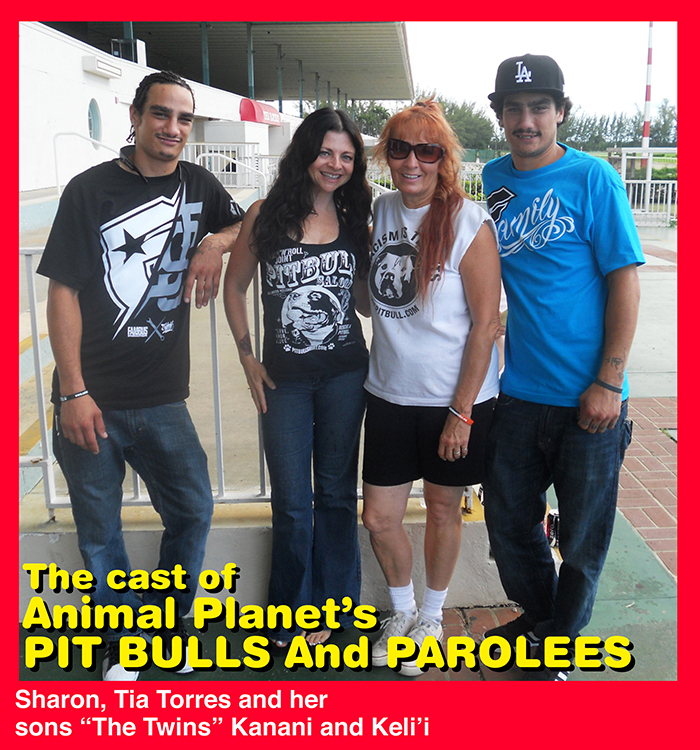 PITBULL ARMY NEWS: Three years ago we launched another branch of Pitbull Shirt. Pitbull Army will be dedicated to those who make a difference to our beloved bully breeds, and to the precious dogs whose lives are touched by them. Check out our Facebook page (www.Facebook.com/PitbullArmyUSA) for Pitbull Army. And of course, we will have some COOL product that feature the PitbullArmy.com theme. Awesome dog tags, vinyl car/truck back window decals, bumper stickers and our original over-sized printed T-Shirts and Baby Dolls with some striking designs. And yes, just as with PitbullShirt.com, 10% of ALL shirt proceeds from PitbullArmy.com will be donated to our Pitbull Shirt recipients of the month! COOL STUFF! Our PITBULL ARMY DOG TAGS! - Our PITBULL ARMY laser engraved dog tags are constructed of bright, eye-catching U.S. lab certified lead-free series-6000 anodized aluminum. They are available in BLACK, PURPLE and SILVER. (*The silver looks similar to frosted glass — the engraving is matte silver against the shiny silver of the dog tag).--- PLUS: At no extra cost, we are attaching a 30" neck chains to your dog tags... and packaging your items individually in protective polybags. TOMMY POP ART: We also offer Pop Art Pet Portraits that will brighten up any room in the house! Decorate your favorite room with a custom, hand drawn and hand painted portrait of your "pittie(s)" in beautiful pop art colors, or natural colors. It is your call. See lots of examples of Tommy's paintings on the Tommy Pop Art page! Click on Picture Gallery. +Plus-- Check out Tommy Pop Art Portrait Urns. Hand-painted in Tommy Pop Art's signature portraiture style, these memorial urns are a uniquely personalized way to forever cherish your pet and provide an extra-special resting place for their ashes. Click on the TOMMY POP ART button on top of this page for more details. NOTE: Tommy has recently increased painting completion time to 4-5 months per painting due to the overwhelming demand for portraits/Urns. Sales Update : Our MOHAWK T-Shirts are back at $25 each... but our MOHAWK Ladies Baby Dolls are still on sale for $20! If your order is $99 or more you will receive our 4-Design Black Bandana for FREE! – A $6.00 savings! SU P E R "FAN APPRECIATION" S A L E ! ! ! • All shirt designs are PITBULL-POSITIVE Themed. • All shirts have "Save A Dog. Adopt" printed on them. • All shirts are designed and printed in the U.S.A.
• And the best part... 10% of YOUR shirt sale proceeds are donated to our designated pitbull charities of the month!